Rumoured to originate from the Amalfi Coast area of Italy in the late 19th century, Limoncello is a popular digestivo, typically served chilled in cold shot glasses at the end of a meal. Commonly sold in tourist areas like Sorrento, Amalfi and Naples, Limoncello is establishing itself around Europe and North America and is used in an increasing number of cocktails. A number of different flavours have also recently come to market, notably Pistachiocello, Meloncello and Fragoncello, Pistachio nut, Cantaloupe Melon and Strawberry respectively. However, it is the sharp, citrus lemon variety that remains the staple for Italians. Traditionally made using Femminello St Teresa lemons, a standard unwaxed, organic variety will suffice. 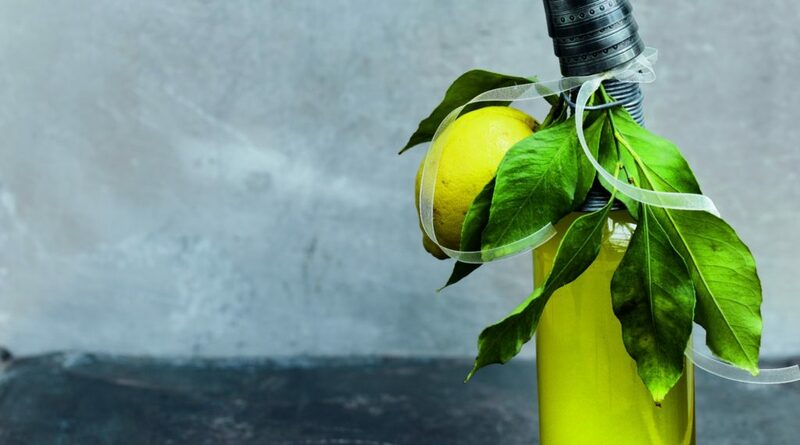 Of course, the quality of lemon will affect the final taste, the most important thing to remember is that Limoncello is made using the zest of the lemon, so unwaxed is a must. About six is needed. For the alcohol, either vodka or pure grain works. Vodka is more widely available and to begin with probably the best bet. The final ingredient needed is sugar. Simple white sugar, about 700g in quantity, although this can be adjusted to taste. This will make the syrup once added to about 1.25l of water. The first step is to wash your lemons. Although they may be pre-washed, you don’t want anything to creep into your concoction and spoil it. Give your lemons a thorough scrub under warm water. Next, zest the lemons carefully using a vegetable peeler. You will need the yellow skin part of the lemon and will want to avoid the pale pith. If the white pith gets into the Limoncello it will make it bitter, so take your time with this and collect only the yellow skin. Place the zest into a large sealable jar and add the alcohol. If the seal on your jar isn’t quite tight enough, add a layer of clingfilm before screwing the lid on. If you are making more than one batch, or plan to vary your ingredient levels, put a label on each jar. Leave in a cool place for a week or so to allow the flavour in the zest to infuse into the alcohol. Most recipes suggest a week of rest, but some call for a month or more. Again, this comes down to personal taste and you will have to try different lengths of time to find what works best for you. After the alcohol and zest have rested, you will need to make the sugar syrup. Boil 1.25l of water, and once it has reached the boil, turn off the heat and add the sugar, gently stirring until dissolved. Allow the syrup the cool while you filter your zesty alcohol. You’ll need to strain the vodka to remove the peel and anything else in the mixture. Once completed, add the cool syrup to the alcohol and stir. Store in a sealable bottle and thoroughly chill before serving. Image credit: Gifts from the Kitchen.